According to the claims of the unhappy fans, the story reads more like fan-fiction than a story written by Rowling. 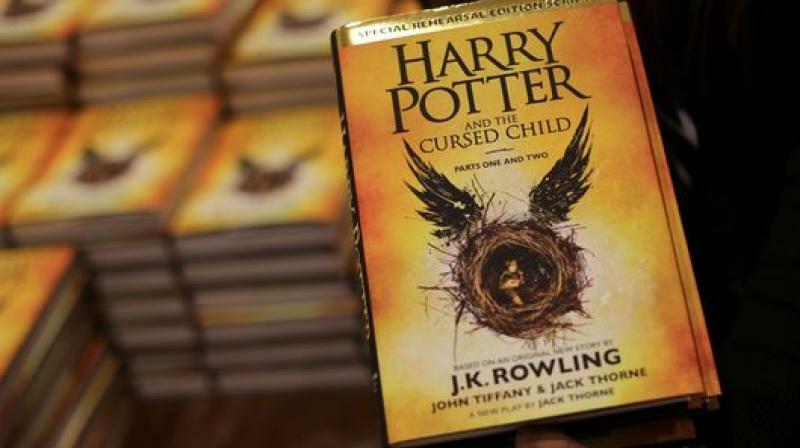 London: Looks like ‘Harry Potter and the Cursed Child,’ could not impress the fans in its book form, reports ANI. The Hollywood Reporter was one of the first publication to give the book a negative review, saying: “The big problem is The Cursed Child is less an original story than a remix of the existing Potter mythology. The been there, done that feeling to the whole thing is its greatest weakness,” reports the Independent. Meanwhile, many fans on Twitter were not happy with JK Rowling‘s latest effort. “Cannot believe I just wasted my life on Cursed Child. Why? How could something be so horrible?” noted one. If I could get a time turner, I would use it to unread Cursed Child. Too bad they were all destroyed. Or maybe they weren’t. Who knows,” wrote the other. According to the claims of the unhappy fans, the story reads more like fan-fiction than a story written by Rowling. Some readers were disappointed with the fact that it is a script of the play that is being printed. “Feels like jk has spent too much time on fanfiction.net. Too many plot holes. The original Harry Potter series made her rich and now she’s just greedy. The story ended with deathly hallows for me. I brought this without much hope and was right to not hope for a lot. Far fetched at best. I won’t put spoilers in my review but I’m glad I had a voucher so this didn’t cost me anything,” said another reader, Mel T, on Amazon.